Prototype Forgings - Henry Williams Ltd. Some nice prototype forgings going out to the customer today, we take a long term view on forgings and want to work in partnership with our customers to develop forgings for the future. 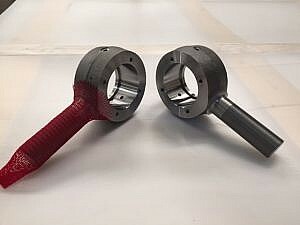 Machined through our approved sub-contractor route Submitted FAIR and PPAP paperwork and dispatched. These prototype parts will be fitted to heavy goods off road vehicles and will now be on 12 month testing in the desert and the Arctic. Looking forward to the feedback and pictures in due course and then making the production run in the future.